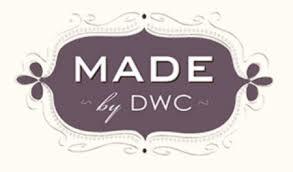 MADE by DWC is a social enterprise created by the Downtown Women’s Center of Los Angeles to educate and empower women who have struggled with poverty and homelessness. It is both an online and brick-and-mortar boutique, and their products are beautifully handmade - cards, candles, jewelry, soap, journals, and tote bags are their most popular items. Through volunteer-lead workshops and partnerships with local artisans, the women at MADE are taught skills step-by-step, creating the confidence and skills necessary to re-enter the workforce and express themselves creatively. 100% of the sales at MADE by DWC go directly to the Downtown Women’s Center, which houses 112 women daily and feeds hundreds more weekly. Located on skid row, they are the only center in downtown LA exclusively for homeless women.